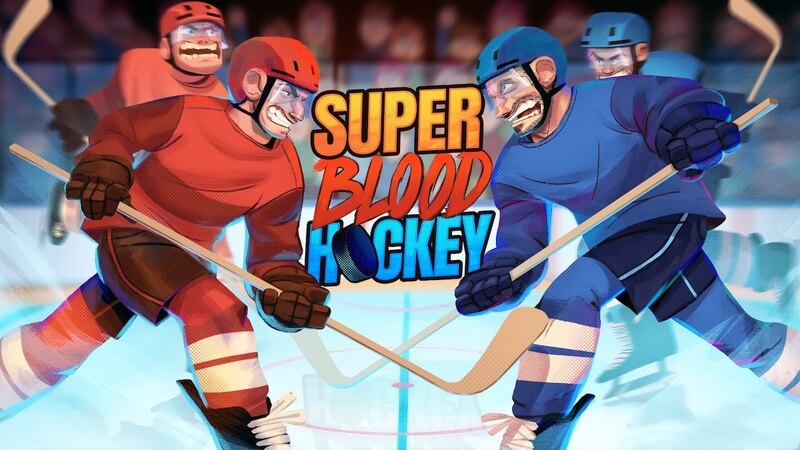 Digerati and Loren Lemcke have announced when Super Blood Hockey will release on Nintendo Switch, a frenetic arcade sports action game that pays violent homage to classic 8-bit and 16-bit ice hockey games. You must prove your hockey prowess in a deadly global tournament, customizing your line-up before you take to the ice where you must use fast-paced skills and bone-crunching brutality to dominate. With the chance to challenge up to four players in local multiplayer, the game comes to Nintendo Switch with an all-new Franchise Mode. This will see you play as a corrupt coach who must recruit players from prison, rely on performance-enhancing drugs, pull the plug on injured teammates, and use other underhanded tactics to succeed. Super Blood Hockey will release on the Nintendo eShop for Nintendo Switch worldwide on April 26th, with a 20 percent launch discount.